Storytelling as a Pathway to Peace – Welcome! 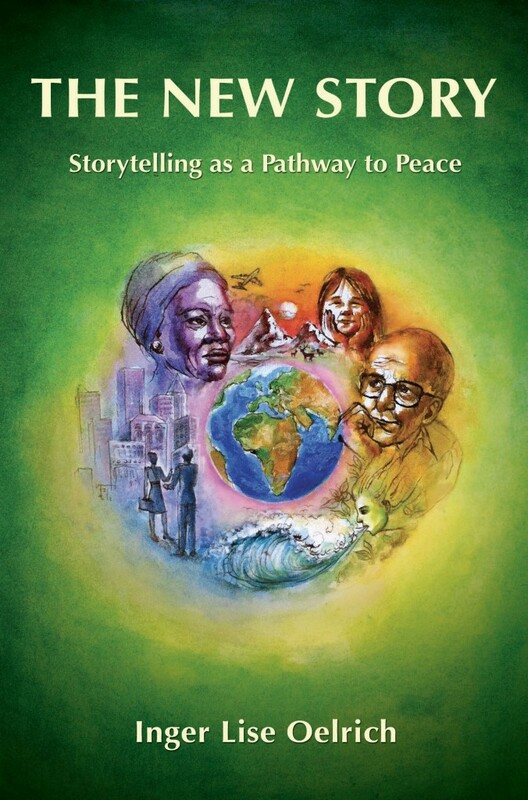 THE NEW STORY – Storytelling as a Pathway to Peace is full of inspiration and practical tools to bring transformation, healing and new ideas into your daily life, wherever you are. This is a book for all who work with people. With more than 30 tales from around the world and 33 easy to do exercises, this new book from Inger Lise Oelrich gives a fresh and encouraging take on how to bring about change, under-standing and compassion – whether at school, in worklife, at home with the family, in a quiet conversation with a friend or in the wider arena of international politics, mediation and social healing. The actual activity of telling and listening to stories in itself has a strong peace-building effect. With leading edge contributions from six modern storytellers at work in places like Israel, Kurdistan and Sierra Leone, THE NEW STORY reveals how storytelling combined with appreciative listening has been used in peacebuilding initiatives in recent times. The particular skills of the peacekeeping storyteller were researched during the ALBA Peace Project in Sweden and the results are published here. Containing many practical examples from her work, Inger Lise addresses questions of living in a multicultural world, where the old stories do not hold anymore. She sees violence and war as a breakdown of communication and shows the potential of storytelling to engender community, trust and a sense of belonging. ”I have to tell you that it has been an immense pleasure to read from start to finish. Your book bought tears to my eyes and made me chuckle with laughter. in creating pathways to peace. It is a fine tool and accesses a wisdom deep within us that we may not even know exists. To order THE NEW STORY go to Buy the Book! It was a cold winter´s evening in the North, way up in the dark green forests of Scandinavia. The snowflakes were falling white and thick and fast and the wind was whirling against the windowpanes. In the fireplace, the flames were flickering upwards, giving off their wild warmth while I was sitting, pressing the phone against my ear, listening intently. I was speaking to a storyteller and mime artist from Haifa in Israel. I had recently been given his name to ring and had never met him. The line was rather bad, and what with the wind howling around my chimney top and the crackling of the phone, I was shouting, all the way to Israel. ”Yes, yes!” I heard at the other end. I imagined a thin, thin thread going from the dark and cold winter landscape I was surrounded by, all the way down through Europe, crossing the Mediterranean, and onwards to the hot and dry land of old Palestine, also known as the Holy Land. So far I had not heard him speak more than a few words and as I was the organizer of the symposium and in charge of the event, I was keen to hear through the long and crackling line what sort of a human being I was talking to. I knew from my earlier experiences, that a group of strong storytelling individuals from different countries and backgrounds, carrying a week-long gathering of 100 people with the theme of peace and reconciliation, would have to be of a special kind. This was not the place to bring your big egos, your vanity or need to be a star. This was a place where all presenters and workshop leaders came with their art, their wit and their presence to serve the theme at hand and the people who turned up. I knew hardly anything about this man I was talking to. My good friend and colleague Roi Gal-Or suggested I call him at the last minute, as someone else pulled out. Tomorrow the programme was to be printed and this was my last chance. 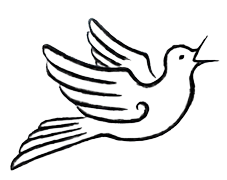 I could not have a conference on peace and reconciliation with no speakers present from the Arab tradition. Hence this late night phone call. Was this the right guy? How could I draw him out? This was potentially a dynamite theme, if I brought the wrong constellation of people together, the symposium could end in a catastrophe. If only he would say just a few more words! Hearing him speak would let me know fairly quickly what kind of a man I was talking to. The static on the line did its crackling dance, the snow storm moaned around the house. I was talking to Israel, my voice reaching all the way down to that mythic land, parched, I imagined in the sunlight. I was speaking to a complete stranger. How would I know? Suddenly he spoke. These words were said with deep passion. And I could truly hear the loneliness come through his soul, through the telephone lines, all the way to me as I sat at my grandfather´s desk in my home in Sweden, while the kids were asleep upstairs. I knew then, that this was the right man to come. And I knew also, for a moment, with the starry night skies spread out high above the storm, twinkling and beckoning to me, that we all belong to one humanity, come from one great ground of peace. Very quietly I put down the phone after we had talked and agreed and thanked each other well. And I sat and listened to the wind and I felt as if I listened into the heart of the world. The suffering, the longing, the joy and the fear of never getting there, to the peaceful abode where we can live together in abundance and creative life. Some days later, I was in the Culture House where the symposium was to be held. I was talking to the director there and I told him about my conversation with Said and how his name means Happy Peace. ”That´s funny. In Israel they are happy. But they have no peace. And here, we have plenty of peace, but no happiness. ”Yes, yes! So true. Anyone living in Scandinavia will know that the main sources of suffering are depression, anxiety and deep melancholy. Despite all the material goods and our ’perfect’ systems, people are not happy. They are often deeply troubled and sad. It is like a blanket of depression over everyone and everything. No, we do not have outer wars here, but in the arena of the soul, great battles are raging. One of the causes seems to be a loss of meaning in the face of the enormous material wealth that we possess. A lack of understanding of how things are connected and a misdirected tendency to rationalize every part of human life, coming out of some kind of illusion that life itself and human beings actually can be controlled. Could it be, that in some wise ways, we are all connected – as one humanity – and that so long as there is suffering in the world, we cannot sit down and rest, we cannot truly have ’happy peace’?